HAVE A QUESTION ABOUT ANTIQUES OR COLLECTIBLES? Instructions for sending photographs of your pieces with your question. What was Annie Oakley’s real name? This book describes and prices Western collectibles including art, cowboy gear, homestead items, military, mining, rodeo memorabilia, and Native American handcrafts. It’s the ultimate handbook for collectors of western memorabilia. The American West tells the story of the aftermath of the Civil War and how the United States transformed into the "land of opportunity." The series tells the stories of the Old West’s greatest names—Jesse James, Billy the Kid, Wyatt Earp, Colonel Custer, and others. on antiques to your group or organization. Share pages of this ezine with your friends using the buttons provided with each article. AN-TIQUE (an-teek) An object having special value because of its age, especially a domestic item, piece of furniture or decorative arts object esteemed for its artistry, beauty, mechanical ingenuity, or period of origin. The Antiques Almanac, a five-edition-per-year online magazine for beginning and intermediate antiques collectors and those just interested in finding out about old things, is your first stop on the Web in your search for information about antiques and collectibles. 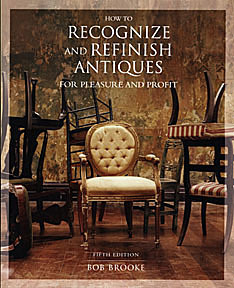 Here, you’ll find articles on a variety of American and international antiques, including furniture, china, glass, silver, and other decorative arts from the Colonial, Empire, Victorian, Art Nouveau, and Art Deco Periods, plus vintage and modern collectibles, interesting historical facts, antique tips, and recommendations for caring for your collections. Come back often to see what's new. And be sure to tell your friends about us. This edition's theme: "The Old West"
A mining artifact can be any item associated with mining. This would include tools, implements, and equipment, such as picks, hammers, hand drills, all types of underground blasting items, all types of mine lighting, such as candlestick, oil, and carbide lamps, oil cadgers, carbide flasks, hats and helmets, instruments for underground surveying, anemometers, signs, as well as larger items such as hand crank and pneumatic drills, ore cars, ore buckets, stamping equipment, hoisting and pumping equipment. Elaborately carved saddles, jingling silver spurs, Stetson hats, leather chaps, saddles—all are part of cowboy memorabilia. Inspired by the pistol-packing ranch hands who rode the open range or became bronco busters in rodeos or hailed from Hollywood, these artifacts have been collected since the 1980's and are part of a craze now sweeping the country. Harper’s Weekly, the leading periodical of the late 19th century, once touted Frederic Remington as the artist that “ draws what he knows and knows what he draws. That statement couldn’t have been further from the truth since Remington had become the leading chronicler of the West—an artist and historian whose works have kept the Old West alive for generations since. Mention Stetson hats and images of cowboys and adventure spring to mild—cowboys driving cattle up a dusty trail, cowboys "bustin' broncos," cowboys performing stunts in Buffalo Bill's Wild West. John B. Stetson's famous "Boss of the Plains" cowboy hats, and all the high crowned, wide brimmed, soft felt western hats that followed, are intimately associated with the cowboy image. When people think of the “Old West,” they usually imagine cowboys and Indians because those were the images fed to them over the years by Hollywood. Whether it was hokey cowboy heroes in white hats saving towns from the bad guys in black ones, or Indian war parties attacking wagon trains, the result was the same----a stereotypical vision of what it must have been like west of the Mississippi in the second half of the 19th century. Learn even more about antiques with the oldest antiques site in England. Go through the menu and read all the New! articles. The only sound is the eerie banging of a old rusty chain on the side of a weathered buckboard. Gone are the rowdy miners, the painted-up dance hall girls, and the cavalry soldiers in town on leave. The buildings that remain in South Pass City, Wyoming, stand tall and proud. Each looks as if someone might come through one of its doors on cue as if in a movie. In 1893, Buffalo Bill formed the Wild West and Congress of Rough Riders of the World, designed to display expert horsemanship from nations all over the world. The troupe had 640 members, almost 500 horses and played at exhibition grounds to enormous crowds. , experts have identified the ship…and confirmed that it’s the real deal. Duncan Phyfe’s tool chest, made by the great cabinetmaker himself at the outset of his career c. 1790. The current configuration is thought to date from the years of his retirement. It was given to the New-York Historical Society by his descendants.